I love incorporating seafood into my diet, but especially so during the summer time. It's a great source of protein, vitamins, and body-beneficial types of Omega-3s. Seafood also tastes amazing, too! 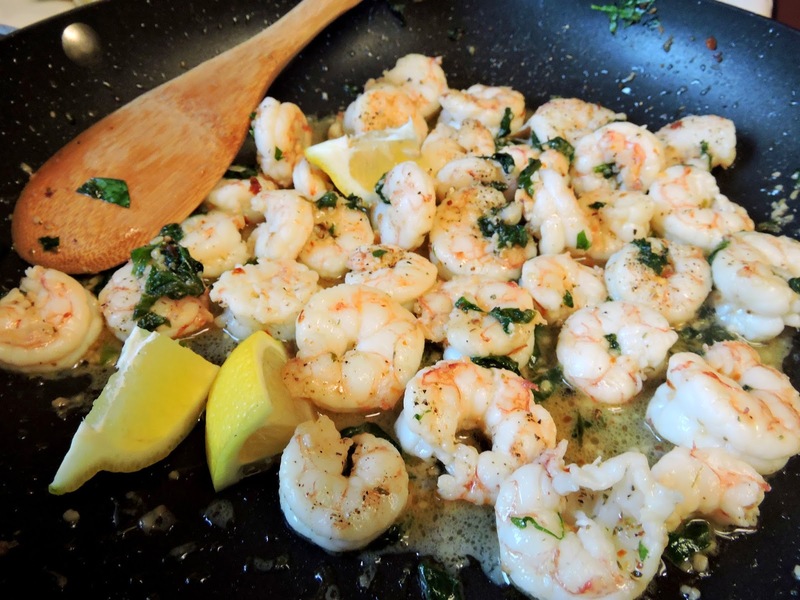 In this recipe, I pair the light, sweet flavors of large shrimp with zesty lemon & mouth-watering garlic to create the perfect bite. The spices really make the dish in this one. To turn this classic dish Paleo, I leave out the white wine completely, and swap the butter for avocado oil. As long as it's seasoned right, you would never know that this dish was completely dairy free! The avocado oil has a wonderfully smooth, buttery texture that creates the perfect light sauce, just like traditional butter would. 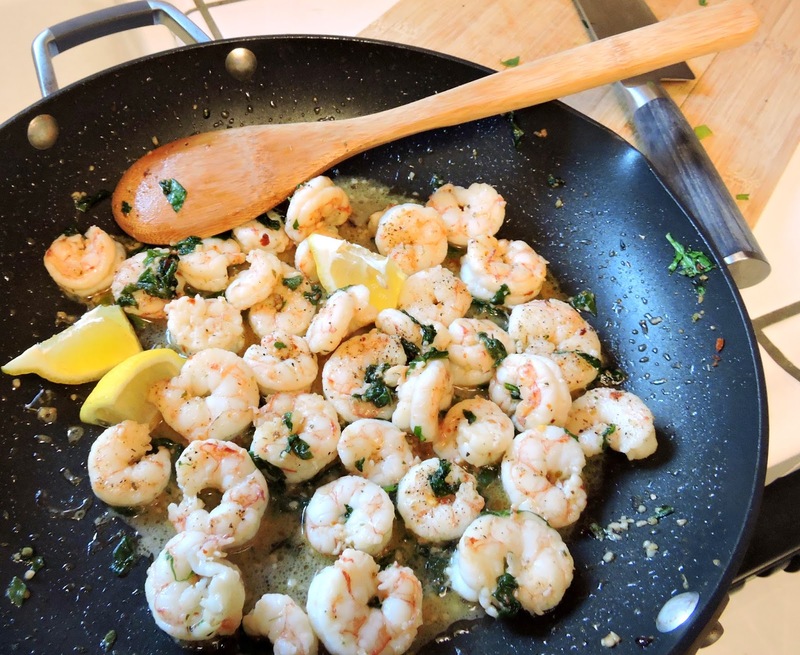 Try this succulent shrimp recipe served over zucchini noodles or spaghetti squash, or even cauliflower rice, and you've got the perfect meal! Sure to please all crowds :) Give this one a shot, and let me know how you like it! Hope you enjoy. 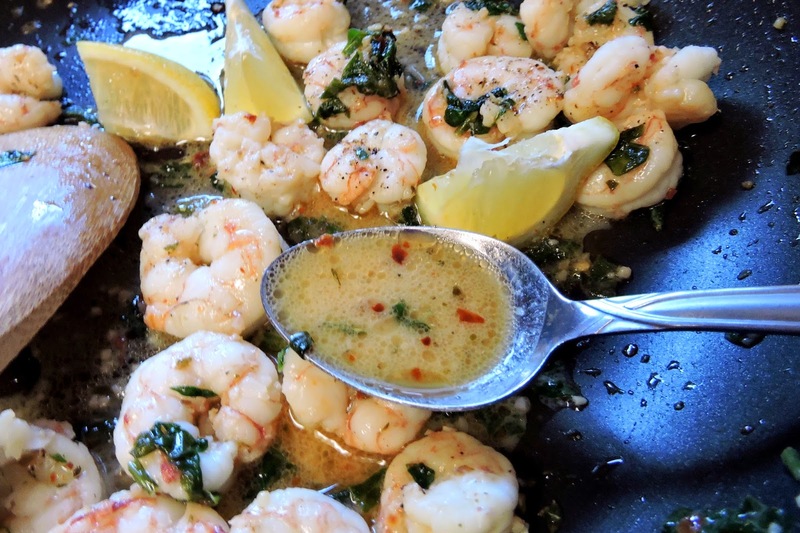 *I use the Trader Joe's Wild Argentinian Red Shrimp, and highly recommend it! Heat the avocado oil in a large skillet over medium heat. Add the garlic, and cook until softened (1 to 2 minutes). Keep it moving so it doesn't brown. 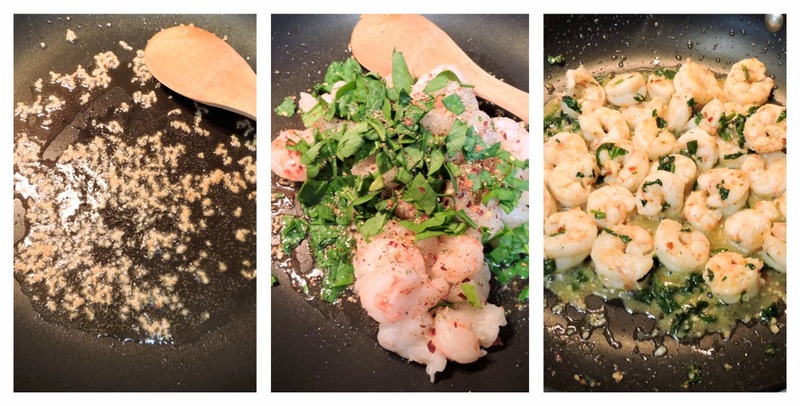 Add the shrimp, spinach, oregano, & red pepper flakes. Cook over medium to medium high heat, until the shrimp are pink & opaque (about 2 to 3 minutes). Remove the pan from the heat, and squeeze the juice from half of a lemon over the dish. Season with salt & pepper and give it a good stir. Serve in its juices, garnished with lemon wedges, and enjoy! Look at that beautiful sauce!